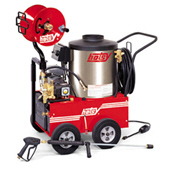 Hotsy is the #1 brand name for commercial pressure washers. Rugged, durable with exceptional performance. Fernrob is your Hotsy Dealer in New Brunswick Canada. 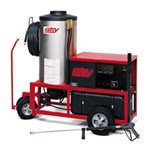 Fernrob has been selling, servicing and manufacturing high pressure cleaning equipment and parts washers for over 28 years. All of us at Fernrob are totally dedicated to the service of our customers. Give us a call and we will customize a cleaning system tailored to your specific needs. Here are a few of the benefits of dealing with Fernrob.